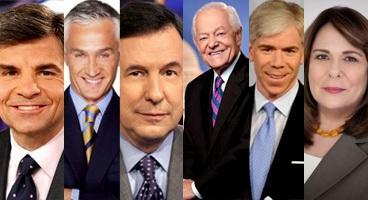 CBS’s “Face the Nation” came out on top in total viewers, with 3.156 million, while ABC News’ “This Week” came in a close second at 3.074 million in ratings for the June 8 Sunday Shows. The two flip-flopped in the A25-54 demo, ABC #1 with 906k and CBS in second with 777k. Compared to the same week last year, ABC was up +19% in total viewers and +5% among A25-54 viewers. CBS and Fox were both up in total viewers (+6% and +17%, respectively), yet down in the demo (-18% and -6%, respectively). Univision’s “Al Punto” was down across the board, -32% in total viewers and -40% in the demo. Cable replays of “Fox News Sunday” averaged a combined 2,310,000 total viewers and 468,000 A25-54 viewers. NBC’s “Meet the Press” was preempted for NBC’s coverage of the French Open men’s final. 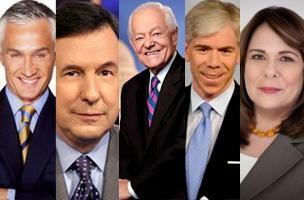 “Face the Nation” is based on the first half-hour only, as the full contiguous hour aired in just 67% of the country. The June 8 numbers after the jump.